Walltime™ – Share Youtube and Vimeo videos via light projections on giant walls in New York City. Walltime™ is a new way to share Vimeo and YouTube videos, projected on giant walls in New York and other major cities, from anywhere in the world! 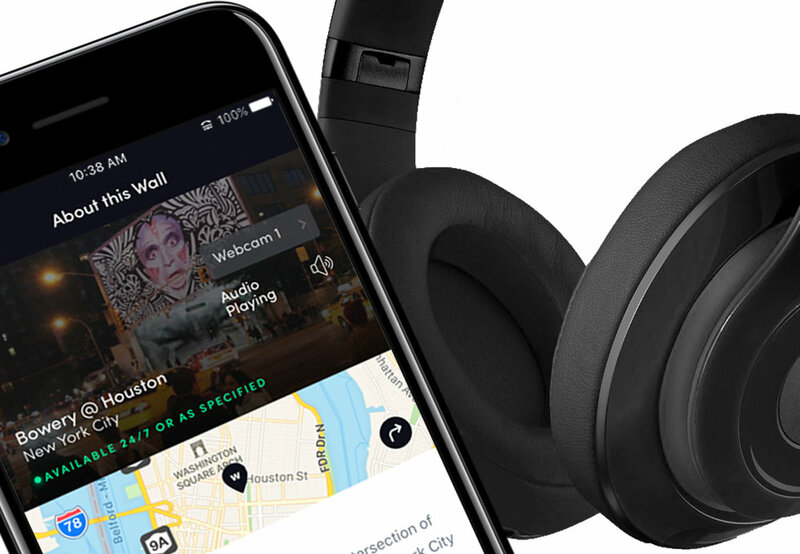 Our free Walltime app empowers you to display videos, view the shows remotely via live webcam, listen to synced soundtracks on your iPhones when near a wall, and connect with friends and followers. Make virtual content real, expand the limits of small screens and use huge walls as canvasses for creative thought and expression. Play audio in sync with the projection. Download WALLTIME to view the live webcam! Walltime™ Trademark and Copyright owned by OOHMS NY LLC.